Longtime Apple executive Jen Folse, who served as lead designer on a number of projects including tvOS, has departed the company to take a senior role at live social broadcasting startup Caffeine. In a statement to AppleInsider, Caffeine said the now former Apple TV executive will lead the startup's product experience, roadmap, and product design team. Folse confirmed the move in an update to her LinkedIn profile, which notes an transition this month from Apple to Caffeine, where she will serve as VP of Product. 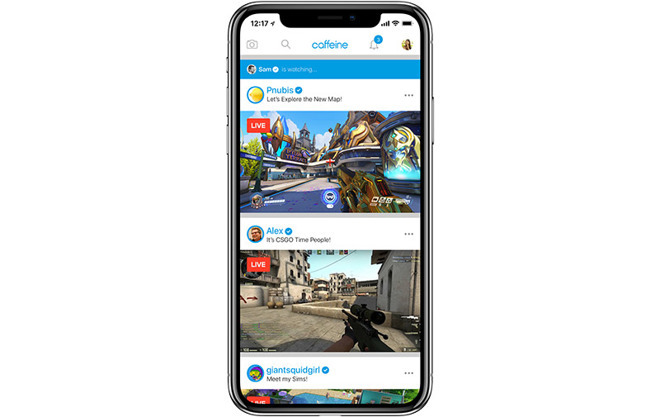 Founded by former Apple TV designers Ben Keighran and Sam Roberts in 2016, Caffeine bills itself as a new way for friends to "enjoy and create live gaming, entertainment, and creative arts broadcasts." The platform is looking to take a slice of the streaming service pie, a market largely dominated by big-name brands Twitch and YouTube. In a statement to Variety, Folse said she has "every intention of staying at Apple for a long time," but was ultimately swayed by Caffeine's potential to disrupt the industry. "I felt like I was looking at a new and exciting way for people to discover and consume live content, and knew I could make an impact leading the product experience," Folse said. Folse, an 8-year veteran of Apple, is perhaps best known for her onstage demonstrations of new tvOS features. In 2015, for example, Folse was tapped to show off the fourth-generation Apple TV's revised graphical user interface during Apple's September media event. More recently, the executive made an appearance at WWDC 2018 to detail additions to tvOS 12 including Dolby Atmos surround sound, "zero sign-on" and other new capabilities set to debut when the operating system sees launch this fall. Folse joined Apple in 2010 as a Senior Design Producer 2016, a position she held until 2016 when her title changed to Design Lead. As Design Lead, Folse was in charge of Apple's video apps and software related to Apple TV, including the tvOS ecosystem and its first-party apps.